sent to clients 13 October…. Almost always ignored at the recent parliamentary public hearings on the SA COP21 climate change submission was the issue of finances, probably the essential ingredient that should have been debated as part of South Africa’s position in the forthcoming conference in Paris on intended targets for reduction of greenhouse gases. After two full days of submissions, with no time for committee member questions from MPs in the light of time restraints and the re-presentation of papers in Xhosa, an impression was gained that there remained the same sharp divide between the providers of statistics that clearly showed what a future world would look like if South Africa and other countries continued on existing paths and those who called for reality in the light of the fact that South Africa is a coal-based economy and will remain so well into the mid-century. Surprisingly costs to the tax payer and to business and industry featured little in the proposed department of environmental affairs (DEA) COP22 submission, other than by emphasing the point by investing sooner was a more advantageous position to be in than later, when the cost of “catch up” would be far greater. The submission is to be South Africa’s call on implementing their portion of 2015 COP agreement from its Green Climate Fund and which reserve fund is supposed to be capable of mobilising $100bn from 2020 onwards. Also to be resolved is the issue of the immediate sources of funds and to capitalize into reality for use what already exists in the fund. The one person who did approach the issue of funds but who fell into the category of a “denialist” according to environmental observers, was Prof. Phillip Lloyd of the Energy Institute, Cape Peninsular Institute of Technology, a known detractor of climate change. He claimed that in fact climate change issues represented a massive multi-billion industry with a potential turnover of R1,174bn. It was staffed by thousands of NGOs around the world, he said, employees of sensitive international companies, whole government departments and enormous amount of diverted funds that could be put to better use. He claimed that the current warnings on climate change and “doomsday scenarios” were largely based on unsubstantiated statistics, or at the very least, exaggerated claims. Such funds should be diverted to development, not wasted on pointless conferences, he stated, and technologies that could not hope to meet the demands of growing populations. He showed a graph of rainfall records for England and Wales going back to AD 1750 which indicated a mere 4% rise over the entire period and whilst indeed CO2 emissions , according to him, had increased alarmingly affecting health this was in no way connected to climate change because temperatures had only increased 1%, part of a long process of global warming that went back to the globe’s emergence from the last Ice Age. Similarly, he noted, rising sea levels had been going on for “thousands of years” but the current level of annual sea rise was dropping in terms of archaeological and geological studies conducted, again over the centuries. He said that the current spend globally on the whole so-called climate change awareness programmes and infrastructure spend amounted to some R15,500 per person globally and “sooner or later this hype had to come to an end”, he concluded. The chairperson thanked Prof. Lloyd with a sense of amusement. Another issue raised regularly regarding the DEA COP 21 submission hearings was the call for capacity building to handle new clean energy resources, a major problem in many developing countries. Financial and technology mechanisms had to be shared and adapted wherever possible, particularly in countries where forced change would stunt economic growth, the paper before them stated. Most submissions focused on the fact that the two issues had to be in harmony but few could expand how this could be achieved successfully, some submissions just taking the “green at all costs” approach. Nevertheless, in broad terms, all submission except the one acknowledged the urgent need for some sort of structured approach to the agreed need for climate change programmes. Most submissions also made reference to the activities of Eskom or Sasol in one way or another, referring to such in one case as “the primary polluters in the South African context”. Subjects brought up varied from fracking to small enterprise farming and renewable energy supplies to carbon capture. Greenpeace maintained that listing nuclear energy as “low-carbon” option was disingenuous in that nuclear life cycle in itself was carbon intensive and should not be referred as an energy component for clean renewable alternatives and preferably removed altogether. Other predictable submissions came from such bodies as Earthlife Africa and the World Wildlife Fund, who specifically named fossil fuels as the major problem, one of the few times vehicle fuel emissions were mentioned in the two days. COSATU complained that the use of nuclear energy did not create jobs and would not help the economy in any way but did raise the issue that the effect of global warming was a fact and would be ”devastating as far as employment was concerned”. The Centre for Environmental Rights (CER) stated that South Africa’s negotiating position at COP 21 should succeed in giving effect to section 24 of the Constitution regarding the right to health but they complained that DEA’s long term plans, which included accommodating coal-fired power generation and its highly water-intensive processes had no hope of meeting constitutional requirements unless urgent changes were made. They pointed out that aside from Medupi and Kusile, the Minister of Energy’s plan to procure an additional 2500MW of coal fired power included seven further coal-fired plants yet to be built and which were in the planning stage, mostly in Limpopo and Mpumalanga. Both these provinces, CER said, were highly water stressed areas and had zones already declared as health priority areas due to poor air quality. Even the right of access to drinking water was threatened in these areas, they pointed out, both issues, air pollution and lack of drinking water in their view representing potential breaches of constitutional privilege. A number of interesting submissions were made on the problem of local government implementation of climate change mitigation plans. A particularly important submission came from SA Local Government Association (SALGA), who pointed to the fact that whilst climate change was a national issue and called for a national approach, this did not change the fact that implementation and controls, regulations and planning mostly had to be done by cities and municipalities. SALGA said there seemed to be no cohesion either in funding or in policy between national government and to some extent provincial government, but certainly not with local governmental authorities. 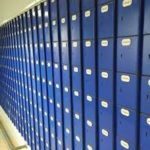 They called for an “enabling framework” that could be adopted in key localised areas and so that “the voice of local government could be heard” by those paying for it. A scientific paper known as the Howarth Report, emanating from Cornell University, was presented by a private individual, Marilyn Lilley, which focused on hydraulic fracturing and the greenhouse gas footprint left by this fracking drilling, the Howarth Report specifically focusing of fracking in the United States of America. Ms Lilley related these findings in her presentation with that of the 200,000sq km area released for fracking ventures in the Karoo. A quick read of the Howarth Report indicates that in the US during the life cycle of an average shale-gas well 3.6 to 7.9% of the total production of the well is emitted as methane gas. This is at least 30% more and twice the harmful effect as gas extracted from conventional oil wells, the report says. Also there is a 1.4% leakage of methane during storage and transmission of shale gas. This is the far the most dangerous component of greenhouse gases, the average black smoke emitted from a factory containing on the whole mainly harmless soot, the report concludes. Ms Lilley said that methane was “enemy number one”, adding again that methane had a far greater effect on global warming than any amount of coal fired energy generation. She also said that during the hydraulic fracturing stage of a drilling, which would go to at least 3-4kms vertically to a shale layer and then for approximately 2kms horizontally along the seam, fracturing then takes place with explosives and some 20 million litres of water with silica sand and chemicals pumped in to cause the methane gas to return to the surface with the then toxic water. She said well pads are usually built 3-4 kms apart in a grid formation and each pad can have up to 30 wells, each being capable of being fracked a number times and each frack taking about 20 million litres of water. She concluded that fracking whilst be making an unpleasant major contribution to greenhouse gas emissions, the process rather contributed more to global warming which was the actual root problem. She called for fracking and consequent methane gas emissions to be accounted for in South Africa’s COP 21 submission as a subject in itself and for a moratorium to be declared on fracking exploration and subsequent gas extraction. She also pointed to the fact that disposing of the then toxic water extracted, in some cases needing irradiation, would become an immense and unmanageable waste problem and the light of the distances involved in the South African scenario. A considerable number of submissions focused on the importance of establishing viable small farming units and a completely self-sustaining mini-agricultural food industry in specially located zones. The proposers suggested suitable cropping of vegetables and staple foods in order preserve the food chain for poorer communities under climate change conditions, the zones themselves contributing to healthier emissions with normal synthesis. 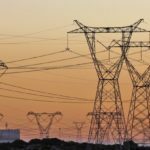 The South African National Energy Institute (SANEDI), reporting to the Central Energy Fund, gave a report- back on their work in the South Eastern Cape where a pilot drilling project, carried out on-shore for reasons of cost, was exploring the possibility of large-scale carbon storage at sea. Prof. AD Surridge described carbon emissions capture as part of the “weaning off process necessary” whilst the country moved slowly from a fossil fuel based economy to a renewables/nuclear mix. This pilot storage plant should be running by 2016, SANEDI said, and “commercial rollout possibilities concluded by 2020”. In closing, Jackson Mthembu, chairperson of the Environmental Affairs Parliamentary Committee, said that “in South Africa, we are known for differing with respect”. This had been the purpose of the hearings, he pointed out. He concluded by saying that climate change, as an issue, cut across all facets of government and consequently the parliamentary submissions collective summation would be shared across the desks of all Ministries involved. SANEDI (SA National Energy Development Institute) was a “catalyst” for South Africa in the development of clean energy technologies and was this year spending, said its CEO, Kevin Nassiep, some R69m on its carbon capture project with drilling operations in the Eastern Cape, near Port Elizabeth. It was also deploying R71m developing a business case and development plan for “smart grids” in South Africa incorporating clean energy into local energy uses. Other projects were its co-ordination programme with department of energy on the possibility of shale gas in the Karoo and the development of the electric car with the “green car” programme based out of Pretoria. On energy saving, SANEDI said it was working with PetroSA. Nassiep said, when it came to each project the country wanted to involve itself in, South Africa had to decide first whether it was better to be an innovator, even an inventor, with the creation of a new technology: whether it was better to be a late follower of something that was recent and to add value or “localise” the project, or whether it was simply best to be a buyer of existing energy technologies or products straight from the product shelf. In the case of carbon capture, SANEDI was either a developer and leader or could add value to what it existed elsewhere adding to its own knowledge. By the end of the year SANEDI could make a final assessment and take the right course on carbon capture. To this end, SANEDI was working with various portions of SA industry; the Norwegian government and had access to the ₤25m fund that the UK government has placed in the World Bank Carbon Capture and Storage Trust Fund. Members asked why ethanol gel could not be sold and developed as a low cost energy fuel rather than say, LP gas. SANEDI responded with the answer that in their view it was a question of consumerism. Whilst ethanol gel could be much safer, it would not land up cheaper or more available until products that used it had been developed and a market demand had been developed. It was the same with the electric car, Nassiep said. It had to be at a good price, conveniently refueled or re-charged, safe and highly preferred in the market place. The tone was set for a three day series of public hearings amounting to a public workshop on the electricity distribution industry (EDI) when department of energy (DoE) confirmed that the rehabilitation of the industry needed R27.4bn to reverse a downward delivery spiral, bearing in mind the need for skills generally and the inability of municipalities to execute to deliver in terms of strategy. However, the main players in the industry, including Eskom, were convinced that South Africa had the skills and ability to effect proper change. Willie de Beer of Sanedi opened the meeting and warned that unless there was a satisfactory distribution and supply system, any amount of power stations and electricity generation programmes would be pointless if the electrical distribution industry, one of the largest employers in the country, did not revolutionize itself from within and carry out an overhaul. The entire industry needed to be re-configured, he said, and the whole issue of the current developmental restraints facing the country needed to be looked at. Firm management and leadership remained a key need, with effective controls in the revenue cycle being an essential requirement. Consolidated funding schemes for all parties, large and small, who are participants in the industry, had to be set up enabling the industry as whole to catch up technologically, de Beer said. Prof. Nic Beute of Cape Peninsula University said a survey conducted on the EDI indicated that most planning had been done to develop the industry when the regional electricity distributor (RED) areas plan was mooted and the major requirement was then only the initiative to act and provide the finance and technological knowhow at lower levels at municipal distribution points to take the path forward. Prof. Beute concluded by observing that DoE appeared to be “stuck in an analysis mode” and what was needed was a financial plan involving National Treasury and possibly Development Bank of South Africa (DBSA) to meet an already defined path and for them to come forward with the wherewithal to make past planning during the REDS exercise a reality. Little had changed, he said, except time had been lost. Ongama Mahlawe of the dept. 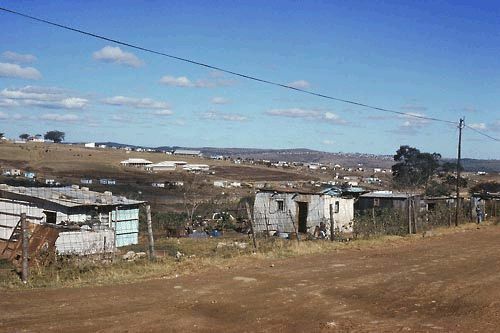 of co-operative governance and traditional affairs (COGTA) said much of the problem lay with rural municipalities who had the biggest backlogs: the highest degree of finance gaps; lowest technical ability and were unable to attract and retain skilled personnel. “With government deciding not to implement the REDs plan, Eskom remains servicing 46% of domestic customers, which revenue is lost to municipalities in any case.” Last year, he said, only a certain number of municipalities had adequate budgets and maintenance came under the heading of discretionary expenditure. GOGTA had, in the meanwhile, established a dedicated unit focusing on supporting municipalities on energy matters and had prioritised 108 “low capacity” municipalities. Under questioning, Mahlawe confirmed that no practical implementation had yet been carried out. In an initial paper, DoE reminded all parties to the hearings of the legislative environment which stated that a municipality has the executive authority in respect of and has the right to administer local government matters regarding electricity and gas matters and that only NERSA could issue licences for the operation of generation, transmission or distribution facilities……and regulate prices and tariffs. Ayanda Noah, head of distribution at Eskom said Eskom had adapted itself after the shutdown of the REDs approach. 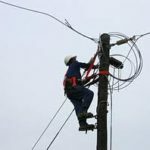 It currently had 311,831km of reticulation lines, 47 509km of distribution lines and 11 415km of underground cables and was working with a number of smaller municipalities’. 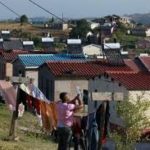 The group, she said, had broken itself into nine provincial offices and the record was that over the years since 1991, Eskom was now providing electrification to 4 million homes throughout South Africa since the inception of the electrification programme. Going through a long list of problems that exist at municipal levels and despite their instituting recently a successful “adopt a municipality” programme, Noah said that industry issues hampered Eskom’s ability to maintain and upgrade its own infrastructure programme given the wider industry issues and the many problems at national level, all of which eventually translated into major risk factors for Eskom. Looking back, the act of creating REDs Noah said this concept would not have really solved any of the underlying problems facing the industry. The answer, she said may lie in “active partnering” such as was being instituted by Eskom and now being carried out with municipalities, since there were in fact only two players in the industry who could participate in the restructuring physically, that was Eskom and the municipalities themselves. “Active partnering” was in her view a non-threatening approach, as opposed to the trauma of forced intervention to address service delivery issues. “There is no need for the industry to become paralysed since the answers lies within the industry itself”, she concluded. NERSA, the electricity regulator, called for an alignment of financial year ends between all municipalities and the state departments involved: a central data system to gather all matters involved in generation, transmission and distribution and a multi-party agreement between state departments and all municipalities on compliance and audit issues. 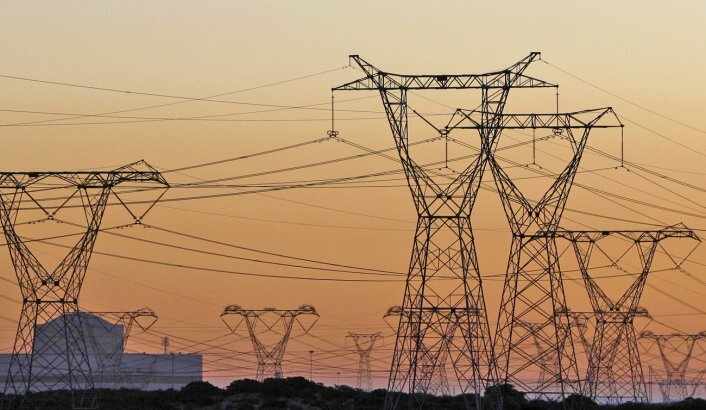 DBSA said it had “huge” exposure to the electricity industry, particularly distribution, amounting to some R5bn. It called improved revenue collection and suggested pre-paid meters; that all revenue from electricity sales be “ring fenced” for maintenance and transparent tendering processes instituted with centralised controls. Renewable energy sources as an alternative had to be focused on, DBSA said, and tariff structuring by municipalities needed to be reflective of the long-term picture in order to attract investment. The present picture was “characterised by many of the municipalities having insufficient infrastructure to deliver energy services and a deteriorating quality of supply due to ageing equipment which required rehabilitation or replacement. They quoted Dr W de Beer of Sanedi who had pointed out the fact that the infrastructure backlog is moving from not only a need for R27bn for maintenance but complicated an annual growth need of R2.5bn per year. 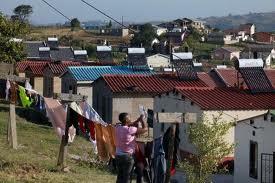 Capacity and skills in municipalities had to be strengthened by participation with a government programme, DBSA said. This must urgently involve a DoE-led rehabilitation plan of an immediate pilot programme; a project finance agreement for municipalities and the involvement of a detailed funding model between DBSA and National Treasury with COGTA, NERSA, department of public enterprises and DoE itself. A formal financing programme should be commenced at the soonest. 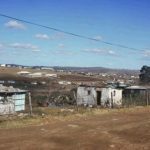 The South African Local Government Association echoed this call, pointing to the debilitating effect of electricity theft in informal townships and the need for meters to be installed on a user-pay basis in all households. SALGA said a “transmission group|” should be formed as a public resource to bring all stakeholders together and new electricity management systems by municipalities “conceptualised” immediately. Not all municipalities were failing they said, and the plan called “ADAM” (whereby municipalities were re-capitalised on the basis that there was certainty in the future of any investment in them) should be re-vitalised and adopted with strong leadership from central government and the support of National Treasury. A National Treasury spokesperson, in their paper, referred to the constitutional right of municipalities to apply surcharges in the form of a tariff base plus “a reasonable rate of return”. A portion of this had to be set aside for repairs and maintenance (R&M), they said, but it was not prudent for government to legislate on the whole of the surcharge in the light of the law and also its use was known to be an important form of general revenue. Nevertheless, there had to be changes on this critical issue. Currently, said Treasury, the integrated national electrification programme (INEP) amounting to grants to municipalities to create new connections and was primarily for poor households. The concern was that this was being diverted to refurbishment that could have been avoided if normal maintenance were undertaken. A way had to be found, said Treasury officials, to ensure that R&M was undertaken on a programmed basis, that skills training programmes were brought to the all municipalities, both large and small and that the profile of the need for constant R&M from the funds generated by the sale of electricity became a high profile issue with both councillors and residents. SANEDI, the South African Energy Development Institute, told the portfolio committee on energy that work was being conducted on extraction of carbon dioxide from fossil usage and pilot drilling was taking place near Port Elizabeth on the geological storage of carbon dioxide at great depth. Dr (Prof) AD Surridge of SANEIRI, the research body of SANEDI, said that in common with other countries and backed by the department of energy, Sasol, PetroSA, Eskom, the UK and Norwegian governments, Total, Anglo Coal, Xstrata, Exxaro and others, carbon capture storage as a system was a real possibility in South Africa. This inland location for tests had been chosen for reasons of cost, but vast suitable geological areas had been located offshore in South Africa where storage for many hundreds of thousands of years would be safe. Dr Surridge said, “It is not so much as to whether the technology works. We know it works”, he said. “Such has been operating at global sites for many years. It’s a question of scaling up the finance and doing things on a far bigger scale to get ahead”. SANEDI operates as part of the Central Energy Fund (CEF) which also manages the operation and development of the oil and gas assets and operations of the South African government with its subsidiary, PetroSA. A CEF subsidiary, iGas acts is involved in the development of LN gas and LP gas. Kevin Nassiep, CEO of the operating research body SANERI, told parliamentarians that in financing its various operational scenarios to conduct energy research across all aspects of energy in South Africa, it had submitted four financial models to Treasury varying from models to develop the institute as an independent entity with a full programme of projects, a model with gradual transition over a number of years to that of SANEDI in a survival mode. SANEDI’s brief in terms of the National Energy Act was to direct, monitor and conduct energy research and promote energy efficiency through SANERI, Nassiep said. Their goals were to be in direct support of the department of energy (DOE) role and DOE’s energy policy, and to assist in all matters regarding climate mitigation. He said that that in most matters regarding radical energy decisions, South Africa in each major topic had to decide whether to become an “innovator” by becoming a leader in that field; whether to be an “adaptor” and take existing standard prototypes and change these to suit South African systems or be a “follower” and simply “buy off the shelf” in order to meet cost restraints or because such suited the occasion. Dr Willie de Beer, dealing with electricity energy distribution matters for SANEDI, said that with the collapse of the centralised electrical distribution concept known as EDI holdings there was a resurgence of suppliers pushing their own proprietary systems in the search for a better and “smarter” national supply grid. Consequently, conformity was a problem unless it was controlled. Lack of funding in all aspects of the work being undertaken by the research body, SANERI, appeared to be the issue, Parliament was told. Dr de Beer told parliamentarians that urgent decisions had to be taken in this regard to underpin economic growth and an inter government smart grid task group with a smart task team financed properly so that “plug and play” commonalised systems were adopted and a lead given by a common government “voice”. But, he said, the “smart grid” was not emerging quickly enough because there were too many players and nobody was either prepared to invest properly or take risk. There was little in the way of team approach, he said, and intergovernmental participation across the board had not been achieved. David Mahuma of SANERI described a number of biomass projects either converting energy from invasive alien plant life; biogas projects working in agricultural situations and mini-hydro schemes currently being investigated. This was all part of the “Working for Energy programme”, he said, and current focus was to help communities with pelletised bio-mass waste systems. SANERI described to parliamentarians a number of projects including LPG driven taxis, which were succeeding in KwaZulu-Natal and a biomass piggery plant in Mpumalanga that was providing its own electrical energy needs and some to spare for the local grid.